The document detailing Cisco’s Unified Computing System, was published in December 2018 for Cisco customers to plan their future upgrade strategy. The document focuses on Cisco’s networking portfolio, as one might have assumed, but also shows a roadmap on the company’s current M5 server platform and the upcoming M6 platform. 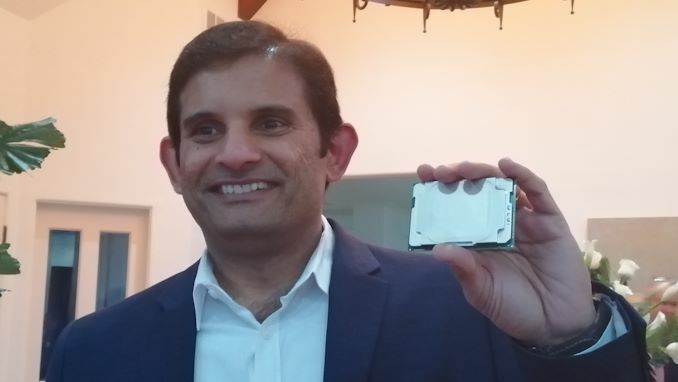 Cisco is listing its M6 server platform, for Cooper Lake and Ice Lake, as expecting to be launched in the first half of 2020. This is on par with our estimates, although perhaps a bit slow for Cooper Lake given that Intel has already shown roadmaps indicating that Cooper Lake is a 2019 platform (clearly, a late 2019). The Whitley Platform will follow the Purley Platform, and this document confirms that Whitley (which has both Cooper Lake and Ice Lake in support) will have 8 channels of DDR4 supporting up to DDR4-2933 memory. This will require a new socket for the extra channels, which we know as LGA4189, and will put Intel on par with AMD’s EPYC platform in channel count. The document also sheds some light on Intel’s PCIe strategy. We have already seen that AMD will launch its new Rome processors in 2019 with PCIe 4.0 support, and Intel will follow that with Cooper Lake and Ice Lake, however it looks as if Intel will bifurcate this strategy. This document lists Cooper Lake as PCIe 3.0/4.0, which might suggest that there will be two different versions, or that it will be rated PCIe 3.0 to start and 4.0 will come later. We are not sure, however it does list Ice Lake as PCIe 4.0 out of the gate. It is worth noting that the motherboards for Whitley will support Cooper Lake and Ice Lake, so they will have to cater for PCIe 4.0 straight out of the gate. If Cooper Lake does come out with PCIe 3.0 only parts, we may see motherboards that only support PCIe 3.0 for specific customers (much like when we have a DDR memory change). This is unclear at this point. It is worth noting that this document misspells Cooper Lake as Copper Lake. Given that this is an official document we expect this is only a typographical error. It also doesn't list the process technologies for Cooper and Ice, even though they had been announced in December. This is likely just a delay of information propagation. So there will be ZERO platforms from Intel that support PCIe 4.0 in 2019. The way I see it ... Intel will be behind #AMD Epyc on PCIe support until next year. You can be sure Intel platforms will support PCIe 4.0 as soon as it makes sense - it's stable and there's a choice of devices that would support/benefit. It will probably be a deciding factor in quite a lot of cases as you can already bottle neck PCIe 3. I seriously doubt DDR5 is going to be in Ice Lake. The architecture at this point is sort of "old", and just waiting for the process node to be stable. Its not even clear yet if PCIe 4 is going to be included.